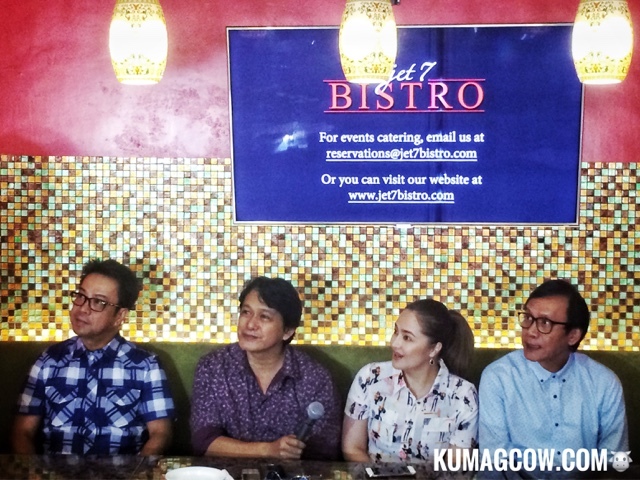 It was an idea born from the OPM Legends concert in Resorts World (more of like a reunion) and they wanted an even more endearing tribute to hit makers and their hit songs. It's about two or three years since they've done it and they're excited to see those who still love OPM. 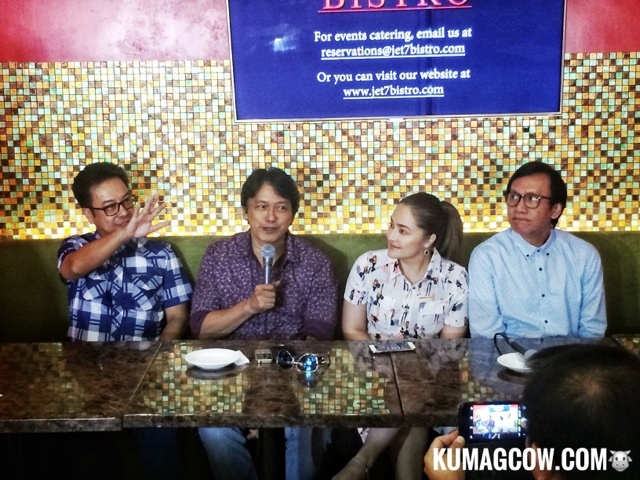 Rey Valera says "I'm sure they'll be glad to hear the hits from the 80's and 90's but we'll do more modern songs so it'll be something they'll be looking forward to in a grander venue, bigger show. Hadji is our scriptwriter, to talk in front of the crowd. We don't even have a director, so expect the greenest jokes that he couldn't say be done by Rico J. It's going to be more personal and funny! Being a songwriter and producer, I still try to do things with composers and see if that will also work and introduce them even if they didn't win in the show. I call it a Songwriting Project, I do that aside from the judging, we discover talents there." Marco Sison adds "I am nervous but Hadji helps us a lot to put things together. I'm from the outskirts of Manila but I get to rehearsals early. We often still arrive early for the show. They arrive when it's already the concert. Nonoy is not gonna be here as he is based in the US. When we got in touch with him we already finalized materials, we tried but we didn't have time. I think he had a bad experience with Ana Puno *he jokes*. I like how they're also reviving our songs in contests so I think it's timely." Hadji adds "What's great is that we already have worked together in the past and we won't be trying hard telling each other jokes, calling names because we already know each other. We just have yo be good boys now that Jessa is also here." There are more offerings next year from StarMedia (producer of this show) like Martin Nievera and Lani Misalucha on Valentine's day in Solaire called Masquerade. Tickets for this show are now available at Ticketworld.com.ph at 8919999 and SM Tickets at 4702222. You can also buy online at www.smtickets.com.